Live the Florida lifestyle in Summertree Community. A active community with spa and heated pool, tennis courts, shuffle board, Recreation Building, bingo, arts and crafts. enjoy playing cards in the clubhouse or just walk around the community and make new friends. This beautiful 3/2/2 home is maintenance free. Enter in and enjoy the 13 X 13 tile in the Living/Dining rooms with 23X15 space to enjoy and entertain family and friends. Master Bedroom is nice size and Master Bath has dual sinks and walk-in closet. Open floor plan with Second and Third Bedrooms. Family room is large with tile flooring and great view from the kitchen table. The view of the pond from the screen porch is very peaceful. Reclaim water sprinkler for the lawn which saves money on your water bill. Kitchen has eat-in space and is large 21X11 with remote-under counter lighting, maple wood cabinets and pantry closet. Inside utility room with access to garage. Maintenance includes Community Heated Pool, Ground Maintenance, Trash Removal. Shopping, Restaurants and Hudson Beach close by. Sun Coast Highway is off of St. Rt. 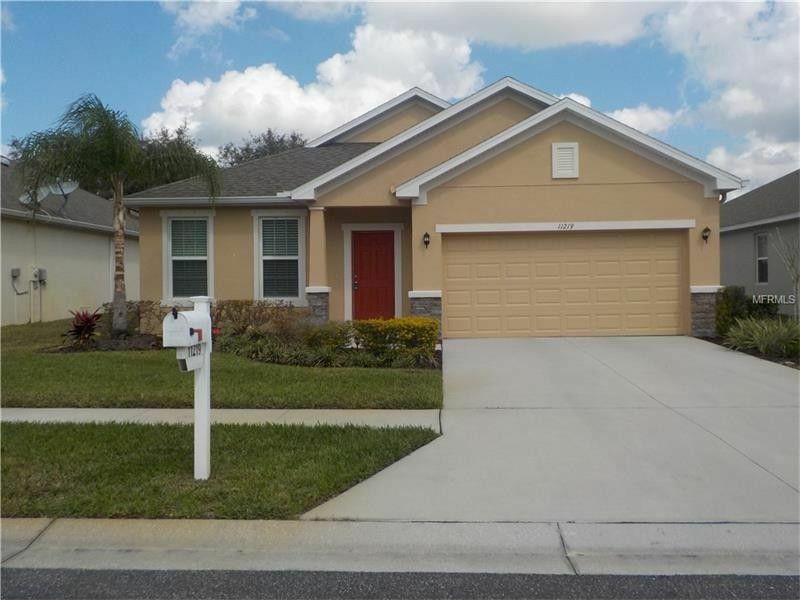 52 with easy drive to Tampa International Airport for friends to visit. Schedule a visit today!